Who says travelling is an expensive affair? Just because you’re low on a budget or are simply struggling with end-of-the-month blues, doesn’t mean that you should be deprived of your right to go forth and travel. And especially when the New Year is about to dawn, you just can’t sit at home and keep scrolling pictures of your friends on internet enjoying winters at exotic locations. There are indeed a plethora of getaways across India that you can head out to during your winter vacations. And that too, under Rs. 7,000. Check out best winter holiday destinations here! Get pampered with the snowy, colonial charm! The tiny, tinsel town tucked away in the lap of Dhauladhar mountains, is a piece of paradise for the travellers, especially during winters. Popularly known as the “Switzerland of India”, the small town of Dalhousie enthralls the visitors with its old world charm, and picturesque snow clad mountains. Adorned by enchanting Scottish and Victorian architecture, the city transports one into nature’s lap away from the chaos of everyday life. The vintage charm that this little town exudes, undoubtedly makes it a treasure mine of the hills. 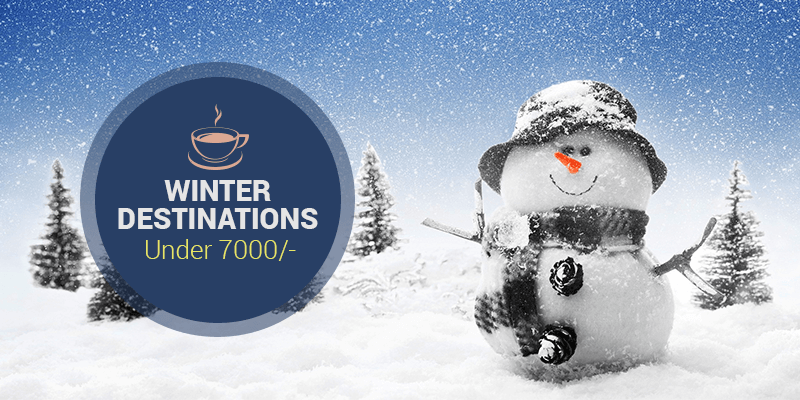 Winter in Dalhousie are chilly and transform the quaint little town into a winter wonderland, as the region receives heavy snowfall beginning from the month of December, till February-end. When you search for some amazing places to see snow in India, Auli is sure to get into your itinerary. This snow-covered hill station provides a beautiful view of Mana Parwat, Dunagiri, Mt. Nanda DeviKamat and NarParbat. 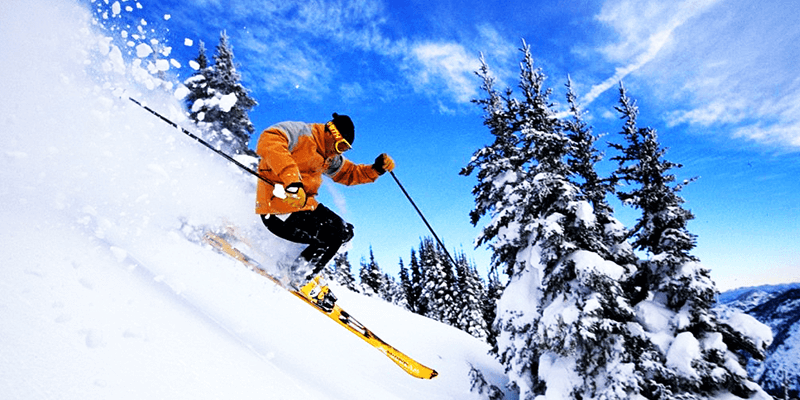 Auli also provides the best skiing ground for you to ski; you can also go around seeing various lovely scenarios that are blessed in this place. The city has a magnificent view of the Himalayan range as you board the Auli ropeway. Activities to do: Skiing in Auli, Some leisure time at the Auli artificial lake, Catch a glimpse of Gorson Bugyal green pastures, Taste some sweet water at Chattrakund, Trek to the Himalayas at Kwani Bugyal. 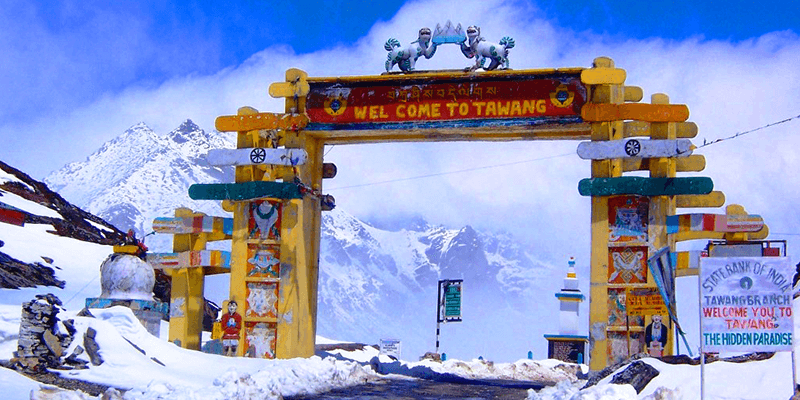 One of the most gorgeous and difficult-to-reach vacation destinations, Tawang is a paradise for explorers and adventure enthusiasts. Untouched by commercialization, this place offers magnificent views of the snow-covered Himalayas, ancient monasteries, and valleys wrapped by colourful prayer flags. 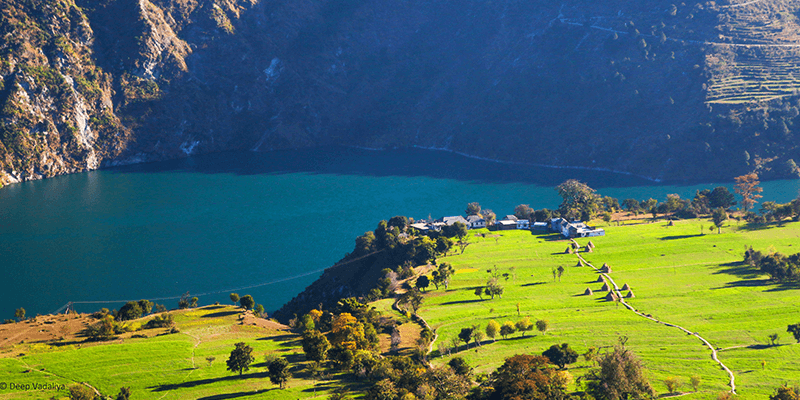 The beauty and solitude of Gudpi and Chong-Chugmi ranges, Tawang Chu River and Tawang valley is completely spell-binding. Those who want to experience the fun of celebrating Torgya festival can visit Tawang in January and in February for Losar festival. The virgin beaches of Diu are so breathtaking in winter, that you’ve to see it believe it. The temperature ranges here from 14 degrees to 24 degree Celsius. Bonfire on the pristine beaches creates wonders as Diu is out of the ordinary vacation destinations in India during New Year. This union territory of India has a unique festival which, starting in December, can accompany you on your exciting trip. The Festa De Diu—Asia’s longest beach festival invites you to celebrate this New Year. Go, get pampered! 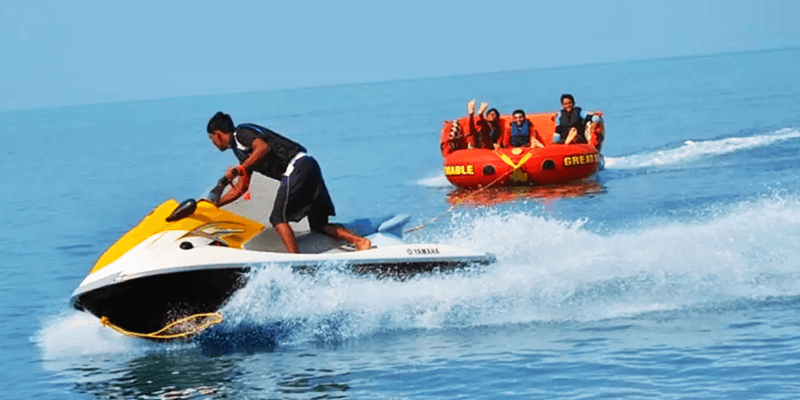 Activities and Places to Visit in Diu: Water Sports, Luxurious tent stay at the beach, Explore Diu cafes, Visit St.Paul’s Church, Jallandhar Beach, Chakratirth beach, etc. A true delight for nature and trekking lovers, Thajiwas glacier is one of the greatest assets of Jammu and Kashmir. The glacier is located around 7 km from the town of Sonamarg and serves as a popular tourist destination. 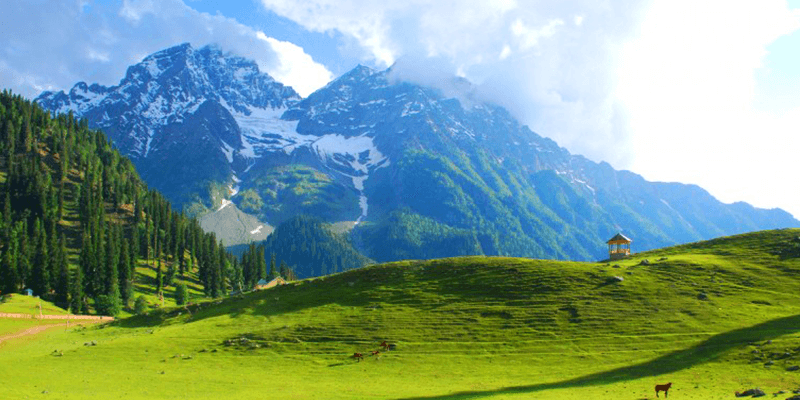 In order to experience the intrinsic beauty of Thajiswar in the best possible way, it is advised that you must hike to the glacier from Sonamarg. One can even hire a pony ride to travel to the glacier. Trek to the renowned glacier and face off with a silver shining frozen lake and its lush green surroundings, which offer an amazing contrast to the eyes. Thajiswar is also dotted with alpine meadows and a number of waterfalls, which make the surrounding region look like a paradise. It also provides an opportunity to enjoy a sledge ride. The best part is that you do bonfire and camping here, beating that chilly weather. Picture this- chilly winters, a drink in your hand and the sight of the calm waters of Lake Pichola, with the imposing Lake Palace at its heart. You can turn this picture into reality by just driving up to Udaipur and revelling in the relaxed life. 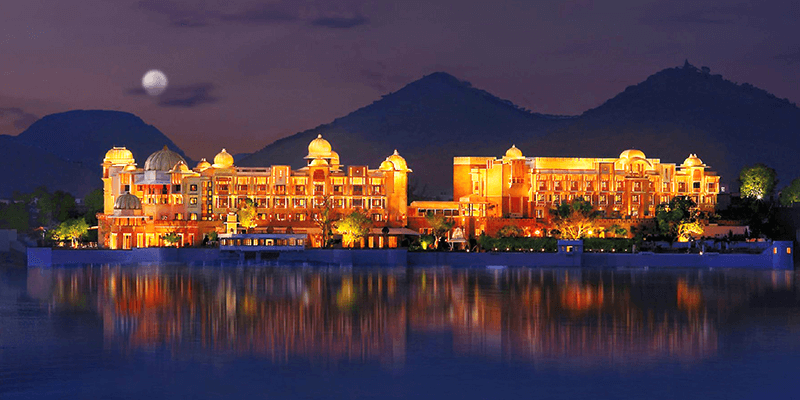 This lake city of Rajasthan is truly breathtaking, and we can’t even put into words how romantic the sights are. During the day, you can check out the City Palace in Udaipur -it’s filled with tiny passageways that open onto gorgeous courtyards and enclosures. The temperature of Udaipur in winter is cold because of the surrounding hills but the lake nullifies the extreme effects. Places to Visit: Jain Temple of Ranakpur, Monsoon Palace, Jag Mandir, Fateh Bagh Palace, now a heritage hotel. Pick a rooftop restaurant-like Ambrai or Uday Kothi–for the night. Where cool, cool breeze warms your soul! 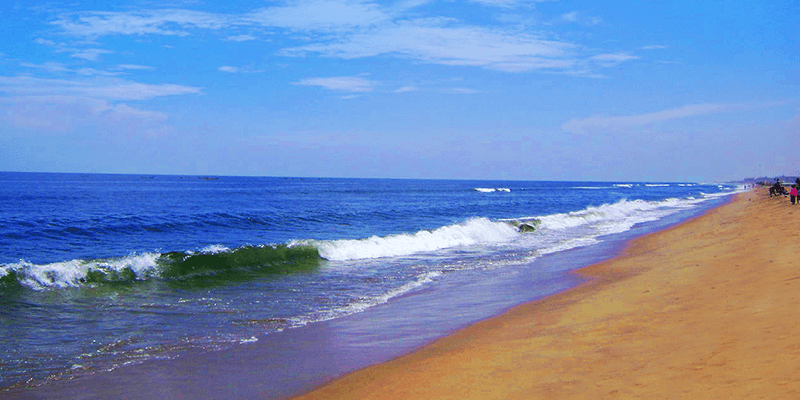 Chennai is hotter in other months, but it is one of the most popular places to visit in winters in India. Sip coconut water, stroll along the longest beach of India & feel the pleasant breeze through your hair. And coconut water isn’t the only beverage to quench your thirst here, Pondicherry, just 2 hours from Chennai, has some amazing cafes that offer cheap food and drinks! You can also spend some bugs for the love of music while travelling to Chennai. Visit Madras Music Festival and 89th Annual Conferences and Concerts, that is held from mid-December until January. Places to Visit: Kapaleeshwar Temple, San Thome Church, Kolavizhi Amman Temple, Mylapore Beach, etc. Chopta is a must visit destination during winters as the complete region here gets covered with snow blanket. Less number of people travel to Chopta this time which makes it more pristine. Trek through deep covered snow-covered tracks along with occasional snowfall that makes it the once-in-a-lifetime experience. Most of the winter days here are clear and sunny, thus making a clear view of the snow-cladded mountains. 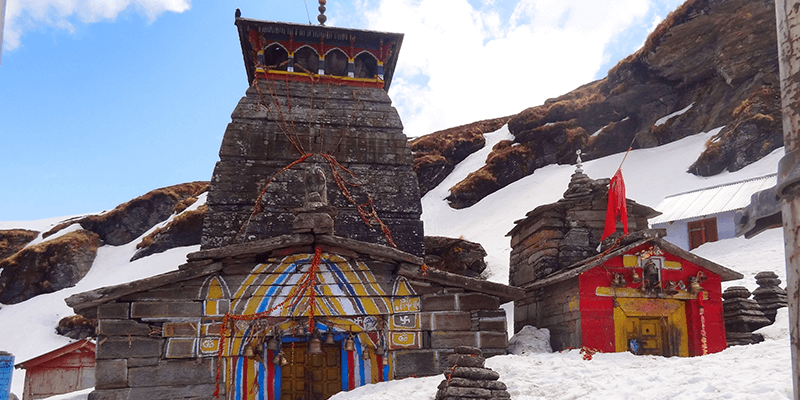 You can trek to Tungnath and Chandrashila in winters, too. It is not always important to travel in immense money in your pockets. In fact, the real joys of travelling lie when you have little money in your hand, something that allows you to know the local culture, in a much better way!